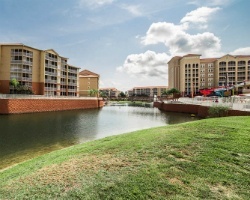 *Westgate Town Center*, located just one mile from the Walt Disney World Resort, overlooks beautiful Lake Wilson and offers an impressive array of amenities to owners and visitors! 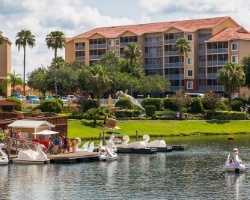 Guests will enjoy retail shops, jet-skis to ride, video arcades, restaurants, and a health spa. 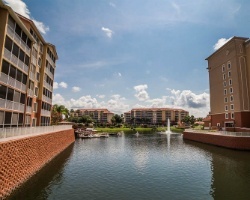 In the units, vacationers can relax in luxurious surroundings and enjoy all the comforts of home! 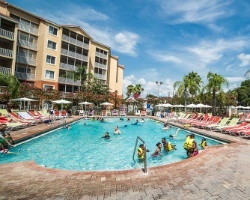 To discover more, visit www.westgateresorts.com. *Interval International Premier Resort* Featuring a finely appointed 1 bedroom, 1 bath suite that will accommodate 4 guests comfortably. Usage is annual in week 13. For more information or to make an offer, please submit the inquiry form.